Pelibuey are hair sheep, probably closely related to the West African, Red African, African or Africana breed of Columbia and Venezuela. They are descended from the West African Dwarf and are found in Cuba, coastal areas of Mexico, and other locales in the Caribbean. 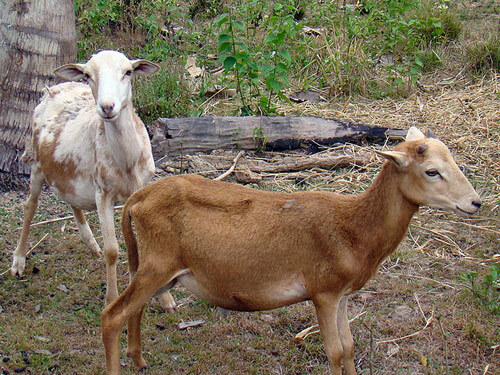 75 percent of sheep population in Cuba are Pelibuey. Their hair color ranges from beige, brown, dark brown, red, white, black, and roan, with both solid and a combination of colors found. Males do carry a throat ruff, but usually do not have horns.